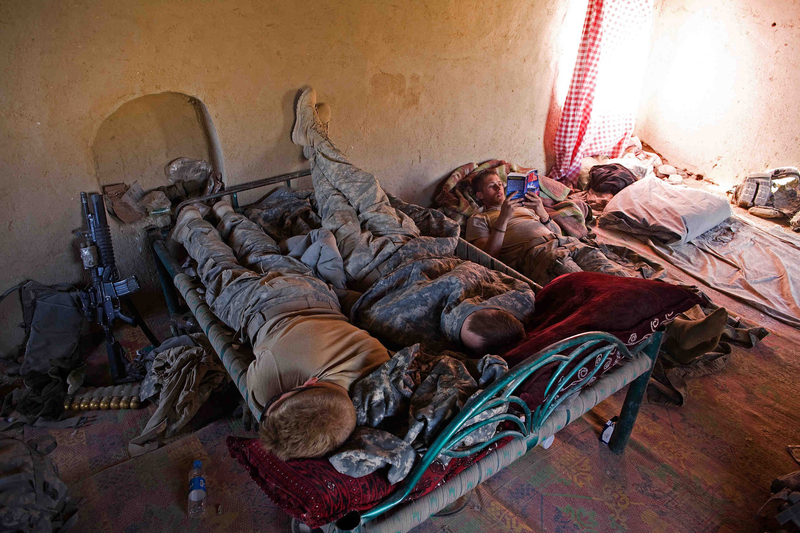 Sergeant Bryan Hulit, right, reads while fellow soldiers get some sleep on an Afghan bed they found in the compound they took over during their clearing operations in the village of Talukan. The 1st Battalion, 187th Infantry Regiment, Third Brigade Combat Team, of the 101st Airborne Division started to clear the roads and houses of the village of Talukan in Pajwai district of Kandahar. The soldiers have found as many as 9 Improvised Explosive Devices all around the main market and roads leading into the village.